Results are being filtered. Clear filters? These beautifully crafted prestige apartments feature the latest in European and Japanese state of the art amenities and furnishings, handpicked to ensure attention to details. You will experience one of the best holidays of your life by staying in a place characterized by refined elegance. 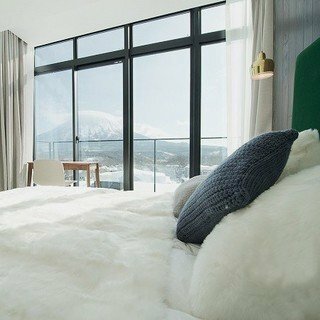 Breathtaking views of Niseko’s captivating scenery are there to greet you every morning. 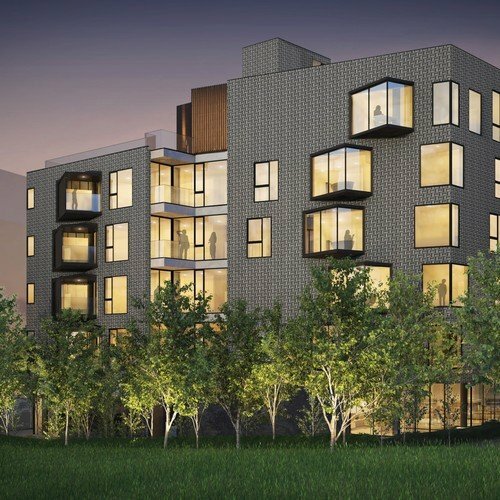 These accommodations are the work of internationally renowned designers and architects who skillfully use natural materials and the environs to create awe-inspiring, organic apartments. 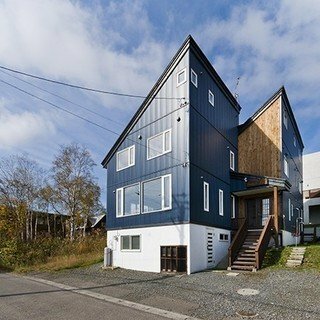 Impeccably located, these properties will ensure a stay in the middle of the action with Niseko’s best cuisine and nightlife right at your doorstep. Vacation Niseko’s prestige collection of properties insures the highest level of service with concierge drivers and ski valet services for selected properties. 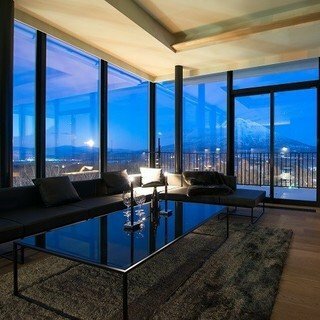 You’ll be heading to the slopes in no time and back to your apartment quickly to enjoy a relaxing evening by your fireplace. The unmatched experience offered by these units will delight any discerning travelers looking for the quintessential ski holiday. Our practical and expansive apartments ensure you have a comfortable place to call home after a long day of playing outside. Enjoy fully furnished accommodation with complete kitchen amenities to savor your time off the mountain and replenish your energy with a relaxing evening. 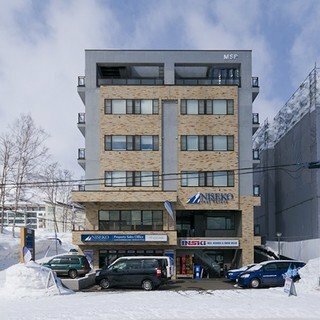 Ideally located, our apartments are all either close to the slopes or the buzzing restaurant and nightlife scene that makes Niseko a world-class resort. Modern design, comfortable furniture, and convenient features such as personal ski lockers are all part of what makes the experience complete. Relax in the evenings in your apartment’s living room complemented with entertainment options such as international TV channels, free Wifi, Apple TV and Bluetooth sound systems in most properties. 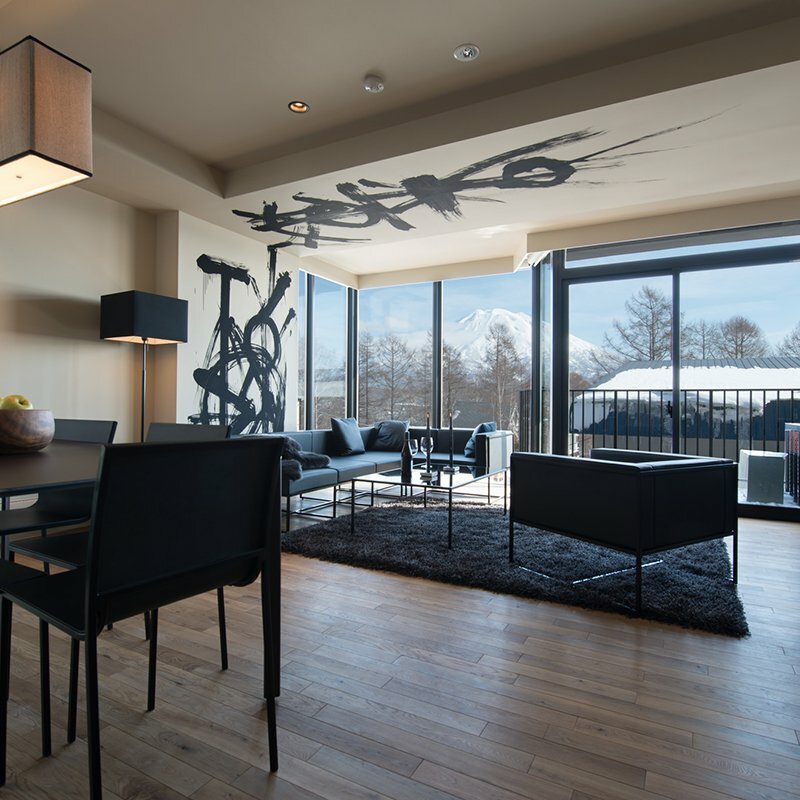 Selected apartments feature jaw-dropping unhindered views on Niseko’s landscape, including the iconic Mt. Yotei. 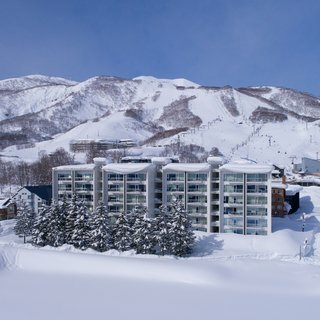 With a wide range of options available, from high-end luxury abodes located steps from the ski lifts to affordable cozy options nestled in quiet corners of the village, our curated selection of apartments will take you on a holiday in Japan’s best outdoor destination like no other. Undoubtedly the most affordable way for couples or solo travelers to visit Niseko, our hotels offer simple but clean, modern rooms with that will make your stay easy and comfortable. All hotels offer an on-site restaurant and an experienced, friendly front desk team that knows all about the resort. These hotels are perfect for those who plan on experiencing the Niseko’s best restaurants and ending the night with drinks at one of the many bars that keep the resort alive once the night sets in. Designed with winter sports enthusiasts in mind, our hotels feature ski storage areas. Rooms are all fitted with high-definition TVs and Free Wifi. Extra amenities such as laundry machines are available too, ensuring a comfortable and easy trip that will make your Niseko adventure the trip of a lifetime. Larger groups of travelers will be delighted to explore our selection of houses that can welcome everyone comfortably. By choosing one of our impeccable houses that all offer roomy, fully furnished kitchens and living areas that can welcome parties of various sizes, you are sure to find a home away from home. As our houses are all located within the Grand Hirafu village, you won’t have to sacrifice on convenience to host a big gathering – everything remains within walking distance. 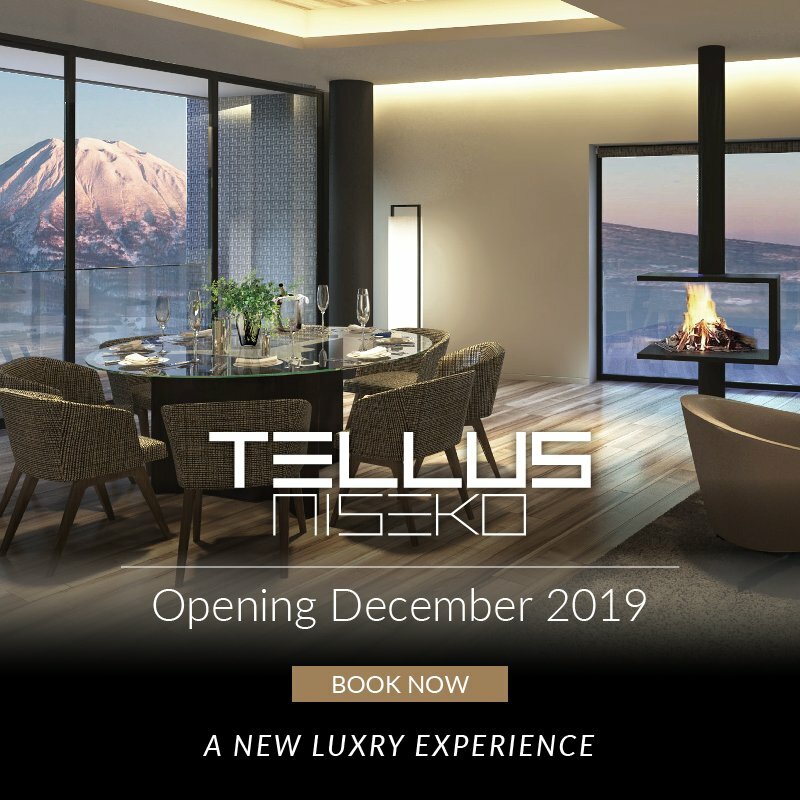 Staying in a standalone house ensure you a great amount of privacy, and our team remains available during your stay to help you find a table for your group at one of Niseko’s best restaurants. Our houses all feature free parking on-site, making your life easy when you opt to rent a vehicle on your trip to help you explore neighboring resorts and off-the-beaten-track onsens. The spacious dining areas of our houses make it easy to arrange an in-house dining experience that features Japanese specialties prepared by a skillful chef. Created with skiers in mind, you will find dedicated ski storage areas to make it easy to get geared up and head to the slopes. 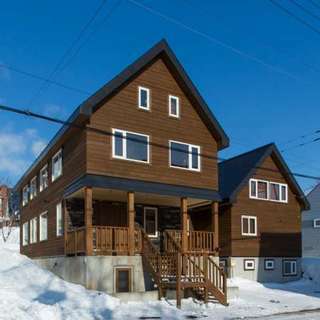 Vacation Niseko’s townhouses are the ideal choice for families and medium-sized groups looking for a quiet option, yet within reasonable distance of everything. You will enjoy privacy and an undisturbed stay in these peaceful accommodations. All townhouses feature a fully equipped kitchen designed to awaken the cook in you. 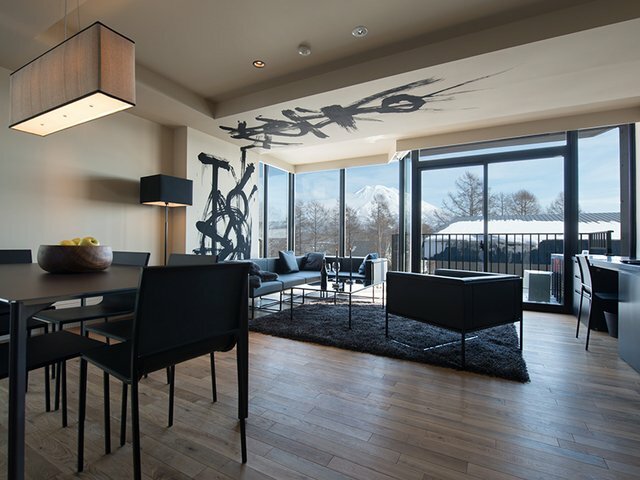 The large living rooms and dining areas of these townhouses offer ample space for you to relax and recharge before heading back to the mountain to chase Niseko’s legendary powder stashes. You’ll have peace of mind during your stay knowing that our team is just a phone call away, whether you want secure a table at the restaurant you have been dreaming about, or to arrange an in-house massage to soothe your tired muscles. Our townhouses all offer expansive spaces, premium location, and modern appliances and furnishings at an affordable price. 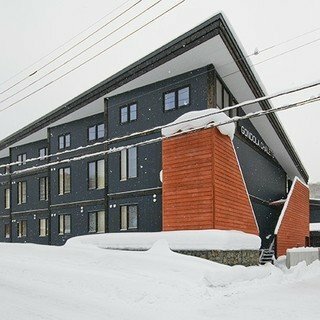 These quarters never fail to delight the seasoned Niseko travelers, making these options some of our most sought-after places to stay in Asia’s powder capital. Niseko is a good place to escape the heat during summer. 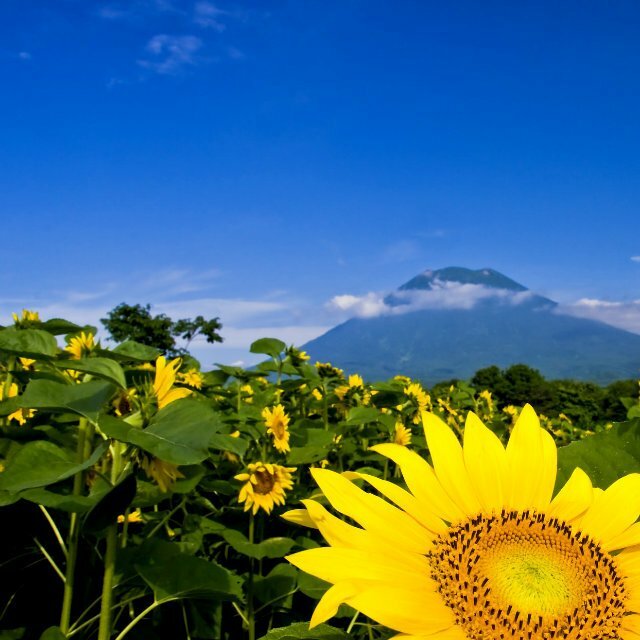 Vacation Niseko is pleased to offer Long Stay Special for guests staying more than 15 nights in summer. With Easter just around the corner, Niseko is a great holiday option with a large snow base. Sunny weather and plenty of snow! Treat yourself. Plan ahead and save on our most sought-after and luxurious properties in our Prestige Collection. 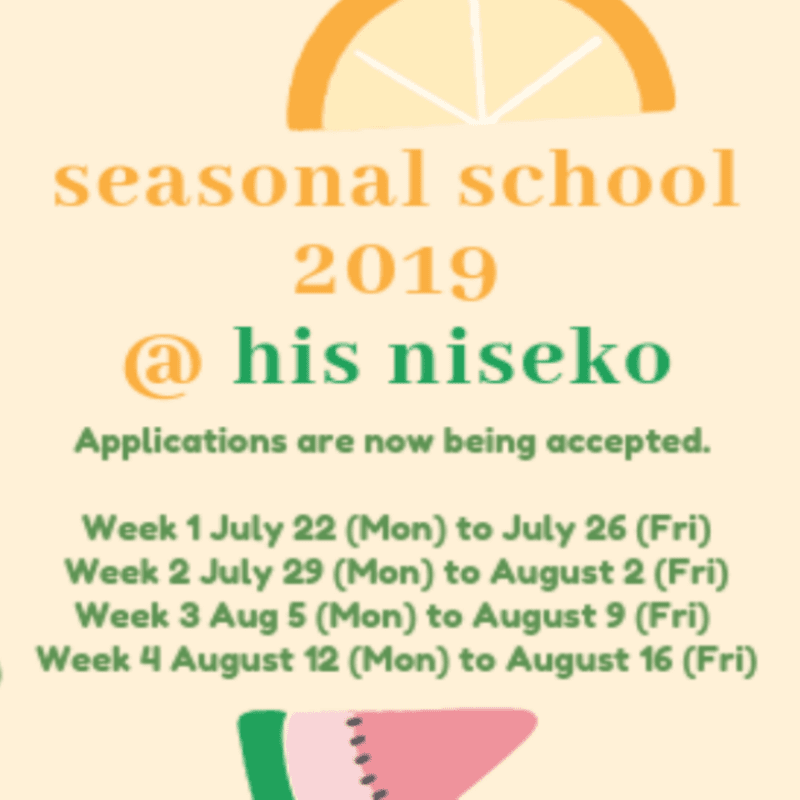 Booking is open for summer 2019 season! To celebrate, we are offering a special early discount. ON SALE NOW! 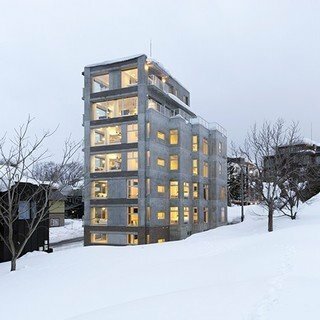 Unparalleled opulence and convenience: ultra-luxurious apartments in the heart of Niseko. Book early and save big! Save big and dodge the crowds! Come during off peak dates, enjoy uncrowded ski slopes and restaurants, and get the best price on accommodation. 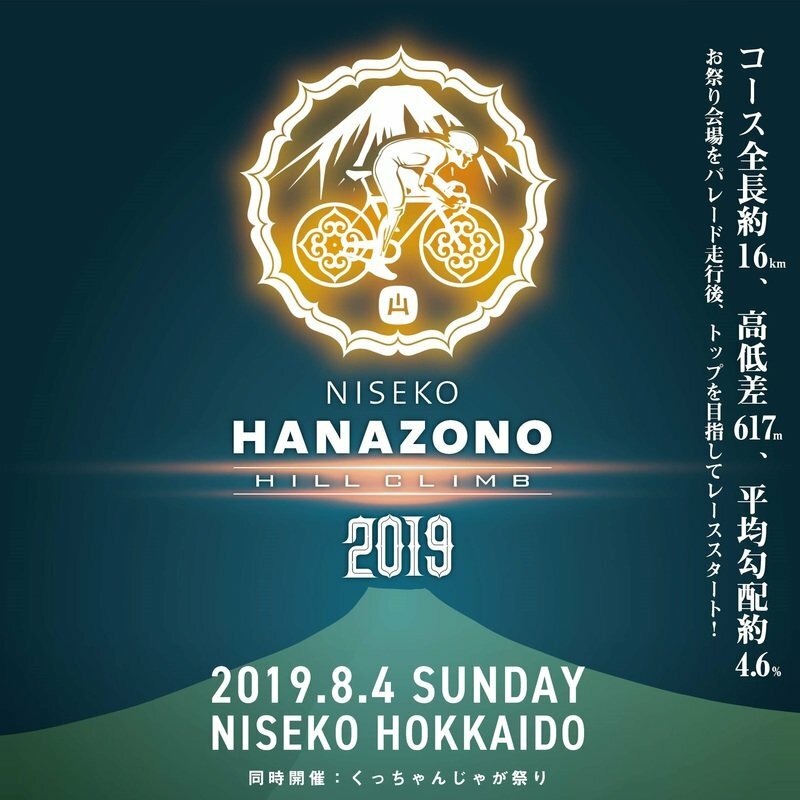 The 10th annual Niseko Hanazono Hill climb will be held on Sunday 4th August! Benefit from great discounts by visiting Niseko on this weekend! 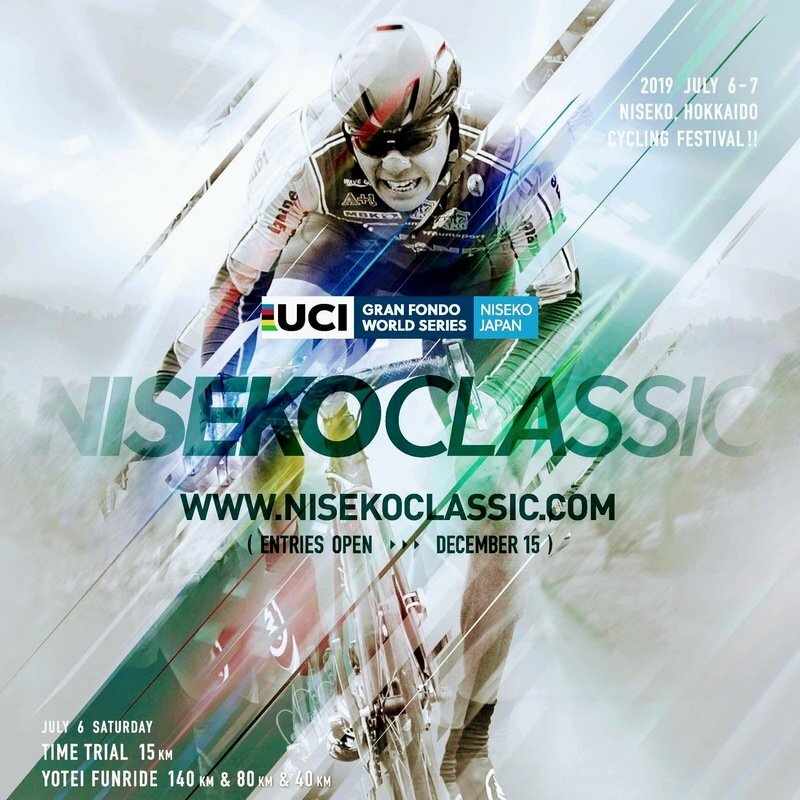 Be part of Niseko Classic 2019, part of Grand Fondo World Series. Join events such as talk shows, live music and giveaways, with plenty of good food! & drinks! 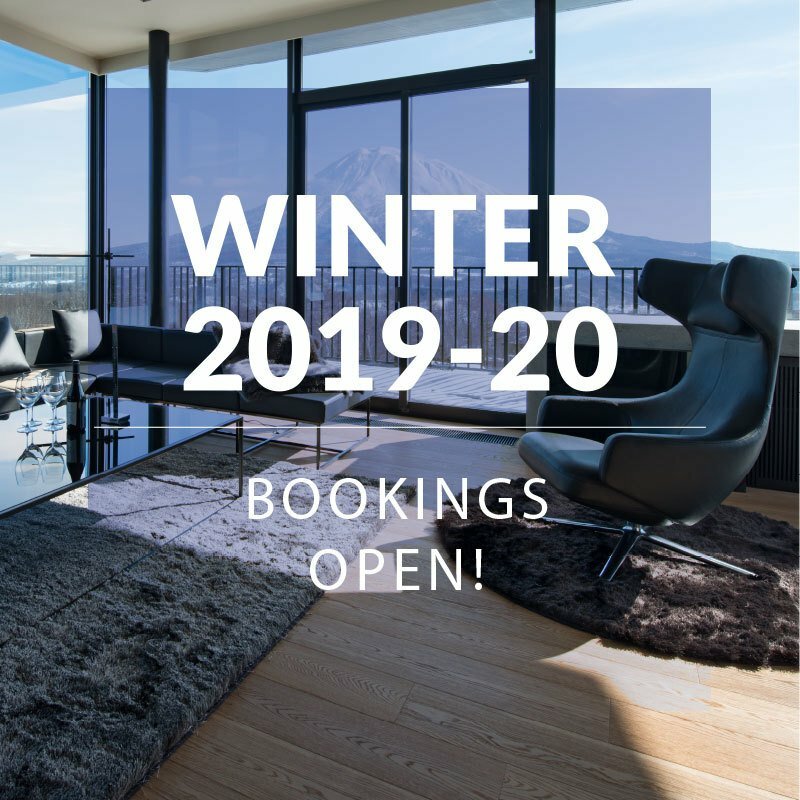 Bookings are now open for winter 2019-20! Secure your perfect accommodation early and lock in the best prices you will find all year. Special deals for Hokkaido International School Summer Program participants and their family!